If you harvest at the wrong time you run the risk of impairing the taste and quality of the vegetable. Young produce will not ripen if picked too early and others left on the plant too long will be bitter and tough. Don’t rely on the suggested “days to maturity” that typically accompanies each vegetable seeds or seedlings. The right time to harvest will be determined by water received, seasonal temps and soil conditions. You will need to learn the traits of each veggie to best determine the proper harvest schedule. Cantaloupe – this fruit will tell you when it’s ready to pull from the garden. The stem will easily release from the vine, the rippled surface will turn from greenish to tan and the flowering end will be somewhat soft when pushed lightly by your thumb. Most will also emit a sweet smell. Lima beans – pick these beans when you see that the pods are plump and before they turn yellow. The young beans will be tenderer while more mature ones will be meatier. Sweet corn – look for dry silks. You can also press on the tips of the ears and if the husks feel filled in they are ready to harvest. To ensure readiness, peel back a small piece of husk and push your fingernail into a kernel. You want to see a milky juice. Corn is best eaten quickly after picking for the sweetest flavor. Cucumber – some folks like to let their cukes get really large for bragging rights but this will make the produce full of seeds and bitter. Ideally you should harvest when the cucumber is between 5 and 8 inches, and no more than 2-1/2 inches across. Eggplant – the variety will determine maturity but general rule of thumb is to pick when almost at full size. The skin should be bright and shiny. Like cukes, if left to grow too large the seeds will turn them bitter. Onions – you have some choices here. Small, young onions are best for eating raw. Bulbs that are about 1-1/2 inches wide are good for pickling. If you like to cook with onions, wait until the tops of the plant fall over and the base of the foliage begins to shrivel. Peppers, sweet and hot – pick sweet peppers when the fruit is firm and has a full appearance. You can also leave them longer if you want them to attain a yellow or red color. Hot peppers can be harvested as you need them, but know that young green ones are generally hotter than ones left to mature. Late in the season if you still have some fruit, pluck out the entire plant and dry them in a warm, dark spot that has good ventilation. Potatoes – for tender, slightly sweet potatoes pick them around 2 weeks after bloom time. For the main crop you should bring up the tubers when their foliage has died down. It is best to release the tubers when soil is dry. Be sure to dig carefully to eliminate bruising. Potatoes should be cured for around 2 weeks in a cool, dark space. Squash – Summer squash does best harvested when young and smallish in size. They should be so tender that you can use a fingernail to lightly nick the surface. Winter squash can wait in your garden to just before the first heavy frost. Cut them with a sharp knife keeping about an inch of stem attached. If they don’t have a piece of stem the produce will start to decay. Be sure to dry your winter squash for around ten days in a dry and warm location. 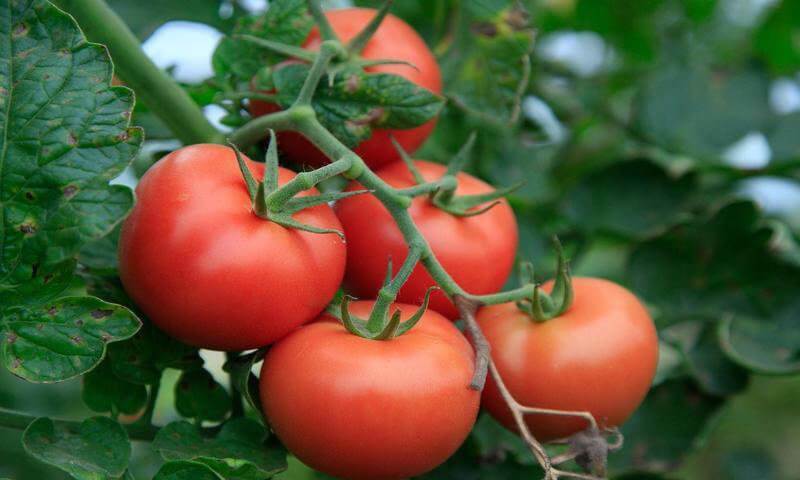 Tomatoes – this is an easy one. Even though different varieties will ripen at various times, they all should be harvested when the fruit has a deep, uniform color. Some gardeners like to pick them earlier to safeguard them from wildlife. If you do so, let them ripen in a cool, shaded spot not on a hot window sill. To insure that you pick produce at the peak of ripeness, you should be making a regular inspection of your North Texas garden where a rough climate can quickly hamper good results. You need to be particularly mindful of green veggies (like zukes and cukes) because they can be hard to spot in the foliage. Harvesting is the most exciting time of a gardener’s life. Nothing is as satisfying as picking beautiful produce – the fruit of your labor! – except maybe eating it.